2018 has been a very rough year at the SilentMode camp. I was broke for the best part of the year, and I mean “could barely afford to walk to the supermarket” broke, rather than “can’t afford a third UCS Millennium Falcon” broke. At the same time, for the energy and time put into it, activity on Swapfig has been at an all-time low. Fortunately, amid the despair and chaos, there was something to look forward to: the LEGO Inside Tour. I’d put my name down at around this time last year, and quite late into the registration stage too. I’d fully expected to get a stock rejection letter. Imagine my surprise when – somehow, some way – I was chosen. Despite spending the first half of 2018 virtually penniless, I was able to afford the spot. The damage was around GBP 1,600 (not including the flight to Billund). The following is an overview of my time on the Inside Tour, making an effort not to reveal anything that would create expectations for anyone who hasn’t been. If you’re after details of what exactly happens on an Inside Tour, go ask your favourite blogger/YouTuber. What was meant to be a two-hour nap before going to the airport, resulted in oversleeping by another two hours, and no amount of rushing or “positive thinking” could save the situation. The trains exposed their incredibly annoying fetish of taking ten minutes to ease into stations, together with slow and dumb people who like to impede people with luggage. Thankfully all was not lost. Because I’d opted to fly out of Heathrow instead of Stansted (I don’t like Stansted), and with British Airways instead of Ryanair (I don’t like Ryanair), the kind person behind the check-in desk was able to put me on the next flight to Billund without penalty. It meant spending nine hours at the airport, losing a day’s exploration of Billund. Fortunately Heathrow has a paid-for lounge, where I was able to work on the numerous issues with Swapfig. It was only after finally arriving in Billund, walking all the way to the LEGOLAND Hotel from the airport, that I realised things had worked out for the best. All I would have done, had I arrived in Billund as scheduled, is spend money I didn’t have to. For as upset as I’d been about missing a flight for the first time, there was something about the hotel room that had an incredibly calming effect. The following morning – the first day of the Inside Tour – was the first time I’d met the other participants. As expected, everybody had a room at the LEGOLAND Hotel. In fact, I think a whole section of the hotel had been allocated to Inside Tour participants. I was initially dismayed there were so many Brits, but only because of the memes (which are true, by the way) about British people abroad. Let’s not forget that the UK has a significant presence in the world of LEGO, so it’s not that surprising. Thankfully, none of the Brits were anyone I’d recognised or met before. Many of the other participants were from the States, including a former Brit, and I seem to recall at least one person coming from somewhere down under. There were a small handful of mainland Europeans. Interestingly enough, most of the participants were either couples or families. One family from the States was present through the Make-a-Wish Foundation (from which the Inside Tour is apparently a common request! ), while another undisclosed charity allowed a child from the UK to take part. One participant was in a wheelchair, accompanied by his father. Fortunately there was plenty of accessibility, save for one significant part, so he was able to enjoy the experience just as much. 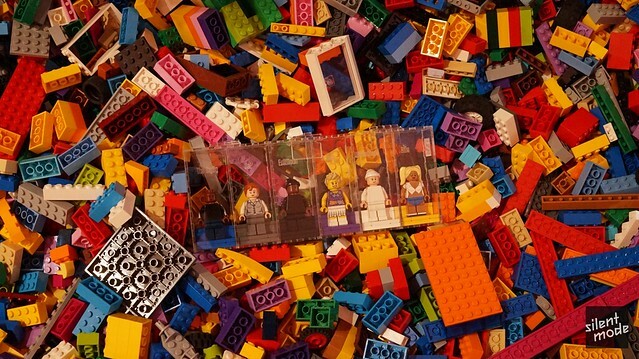 Without getting into misguided ideas about “diversity” or “equality”; the one thing that brought everybody together was an obvious passion for LEGO. Nobody appeared “out-of-place” or “shouldn’t have been there”; it was, for lack of a better term, “all love”. From the outset, the people running the Inside Tour were very friendly, engaging and full of energy. They had no problem relating to the children on the Tour, whether represented by charities or not, while being able to handle us older fans. One of them – you’ll discover who if you ever get to do the Tour – had a particularly firm handshake. Given how many Inside Tours took place this year, I thought they would have struggled to maintain their enthusiasm. Not so! It was obvious they were geared toward making the Tour as pleasurable an experience as possible for everybody, regardless of who they were. When it came to food and drink, I don’t think anybody in their right mind wanted for anything. We were incredibly well fed for the duration of the tour, and the staff had even considered vegetarians and those odd gluten-free people. 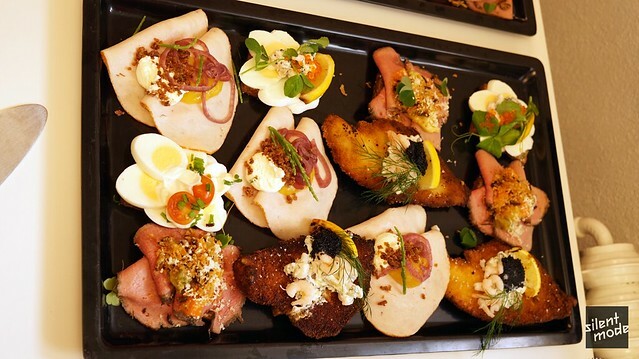 Seriously: although I have a bad habit of snacking whenever food is available, I was concerned in the back of my mind about having eaten too much. As a side note: Denmark doesn’t appear to have the same problem as we do in the UK with the stupid sugar “levy” tax. Their soft drinks come in smaller bottles, but they don’t use artificial sweeteners. There was some intimidation about meeting some of LEGO’s rockstar designers, and the lineup was revealed on the first evening inside the LEGO House. It was interesting to find out that the designers have their own waiting list for the Inside Tour! 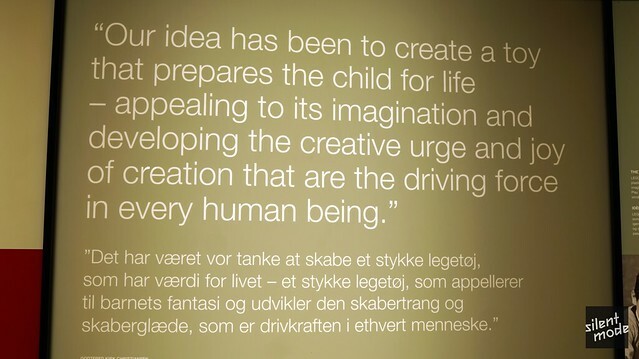 I’m sure that some designers are specifically chosen, based on current events and what LEGO has in development, while others have to hope they get the opportunity to join in. In any case, each of the designers chosen for the Tour were friendly and sociable, and there was no question of them being passionate about their work. One of the great things about the selection was that it spanned more than one generation, and more than one area of expertise: set designers, graphic designers, sculptors (of the traditional and computer kind), and more. They all had their own LEGO-related stories to tell, which they allowed the participants to gently squeeze out of them. Without any prior knowledge of which designers we would hang out with, I had wondered whether I’d bump into Mark Stafford, whom I hadn’t seen since BRICK 2015. I heard he was ill that week, although he was part of the following week’s Tour. However, I had been reacquainted with Ricardo Silva (previously met at the 2016 Paredes de Coura Fan Weekend) and world-famous Mel Caddick. What came as a surprise was that at least one other designer knew of me. I wasn’t quite sure how to take the discovery, being concerned about whether it was for good or bad reasons. But either way, I was honoured! One thing I made a point of on the tour was asking questions. (There’s usually some so-and-so hanging around who tries to humiliate me for daring to speak, but not so this time.) What was surprising was that the rooms we were in were so quiet when it came to having conversations, that even I could be heard. I had wanted to ask the designers about the apparent shift toward realism and ultra-detail over creativity in official sets. Instead, I’d asked about the new artistic direction the Friends theme had taken. It was just as interesting hearing the other participants’ questions, and some of the unsolicited opinions of the designers, on all things LEGO. One thing I was surprised but reassured to hear come up more than once, was that LEGO themselves felt the strain of not being able to please everybody, or even satisfy those vocal but misguided people who feel the need to complain. 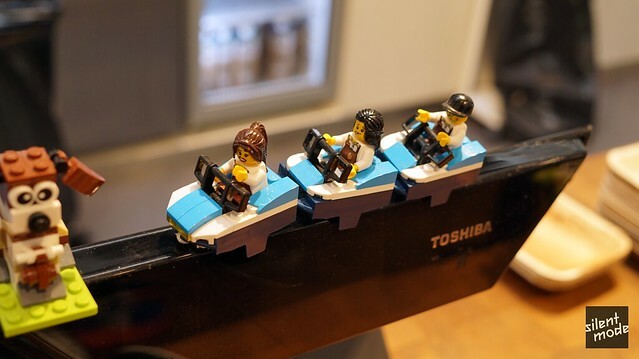 I’ve experienced it numerous times with Swapfig and other projects, while – among other things – LEGO has had to contend with opinions on Friends and the [lack of?] presence of female minifigures. Those of you who’ve actually listened know my stance, while those who haven’t are somehow convinced I’m a misogynist. With that said: when I heard another participant making the argument for more female minifigures and female representation in sets, your boy had to jump in. It actually turned out to be a great conversation: no personal attacks, accusations, yelling or the like, and the chance to test my debating skills (which, by the way leftists, includes listening to opposing views). You’ve probably seen it plastered all over the Internet by now, but here’s a photo of the Inside Tour farewell gift being unveiled. It was indeed the Ferguson tractor! Though my opinion of the tractor had been coloured by prior gossip, and I had secretly hoped for something else, my mind has been completely changed. 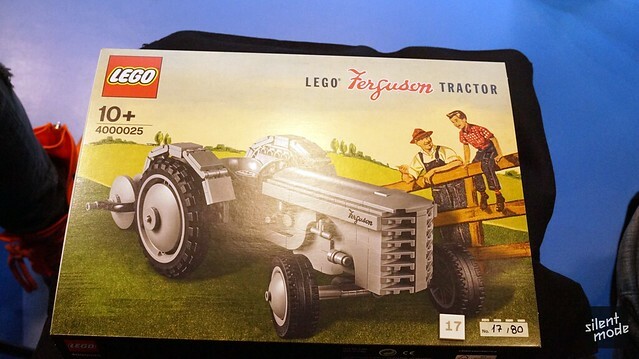 I like this gift: not just because of its design and that it’s an Inside Tour set, but because the tractor itself – as was explained during the Tour – marked LEGO’s transition from wooden toys to plastic. The numbered sets was allocated by picking numbered tiles. I originally had #16, but because I don’t particularly like that number for some odd(!) reason, I switched it for #17. Here’s a fun fact: I was sat right between the participants who got #1 and #2! Some people had mentioned that this same set had been listed on feeBay, and sold for as much as USD 10,000. My initial thought was that, given the nature of the Inside Tour, reselling this set was a [censored] thing to do. The likely culprits would have been a couple or family from a previous tour, as they would have received multiples. With that said: if the profits were donated to a charitable cause, or the set was sold to a collector who wasn’t able to get on the Inside Tour, I would be much more agreeable. Somehow – perhaps unfairly – I don’t think that’s what the sellers had in mind. My thoughts about the Inside Tour. It took a while to get around to writing this post, because I’ve had so much to do over the last few weeks. But just as with missing the flight to Billund, I think the delay worked out for the best. It certainly helped me to think more clearly about everything that happened, without getting caught up in the euphoria. If you wanted a fluffy overview of the Inside Tour, you really should know better than to read one of my posts by now. In fact, why are you still here? Without a doubt, everybody involved in the Inside Tour worked really hard to show us all a good time. I don’t have a single bad word to say about anyone, from the staff who were with us from the beginning, to the folks working behind the scenes. I would give particular credit to Astrid, as well as the enthusiastic young man who provided my tour of the LEGO Ideas House (sadly I can’t remember his name). 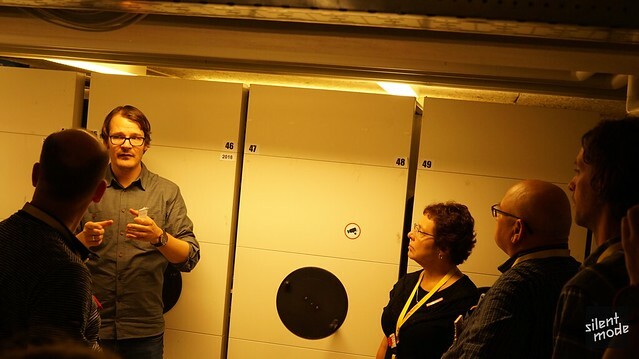 It was incredibly difficult to decide on a favourite official part of the Tour. If I was really pressed, I would go with the “award ceremony” on the second evening. It provided a lot of suspense over who was nominated and awarded, as well as plenty of opportunity to engage with the designers and staff. I suspect the awards were slightly rigged, but I didn’t mind not winning – if for no other reason than not having to carry a trophy along with everything else. Those who won the awards were worthy winners. On the second day, I got into a brief but friendly discussion with some Americans about a comparison to Charlie and the Chocolate Factory. Which of the children visiting the factory would you be? Eventually I determined I would probably be Mike Teavee. One part of the Tour stood out as being my least favourite, but only because I didn’t think there was enough time spent on that particular activity. I’m not going to mention what it was, out of respect for confidentiality. There was a part in the non-disclosure agreement – required to be signed before the tour starts – suggesting that “your ideas might not be your own” (I wish I could remember the exact wording). Anything created during the Tour could become an official product without credit, royalties, etc. Imagine how badly I wanted to mention Mascoteers IhNohMinecraft, as BrickHeadz came up more than a few times during the Tour. Instead, solely to preserve the “love”, I held my tongue. Andrew, a kid from the States representing the Make-a-Wish Foundation, mentioned how cool it would be to receive a brick resembling the official Inside Tour logo. Only the people who won awards during the award ceremony (which included Andrew!) would receive one, albeit as part of the trophy base. I would have greatly preferred a similar 2×4 brick – or even a 1×4 or 1×8 equivalent – over the generic 1×8 Red brick we were given. Advice for anyone going on the Inside Tour. If you’re lucky enough to get a place on the Inside Tour, I would definitely recommend the following bits of advice before making the trip. DO NOT read other people’s [detailed] accounts of what happened. There’s a reason I didn’t want to get into the specifics: because I’m not a so-and-so trying to ruin the surprises for anyone else, just to get a hundred fleeting views. If I paid over GBP 1,600 for a trip, only for the anticipation to be ruined by said so-and-so, I’d go and see them in person. With that said, the experience is going to be different for everybody. It will depend on who else is in your group, what time of year your Tour is, and of course which year you’re accepted. Go for the memories, not [just] the gifts. There’s no doubt that a big part of the Inside Tour is receiving a bunch of goodies, not least the official Inside Tour set. There was so much generosity that I’m almost ashamed to admit I started thinking: “what am I going to get this time?” as the Tour progressed. But if all you care about is going home with free stuff, you’re not going to enjoy the Tour nearly as much as you could. 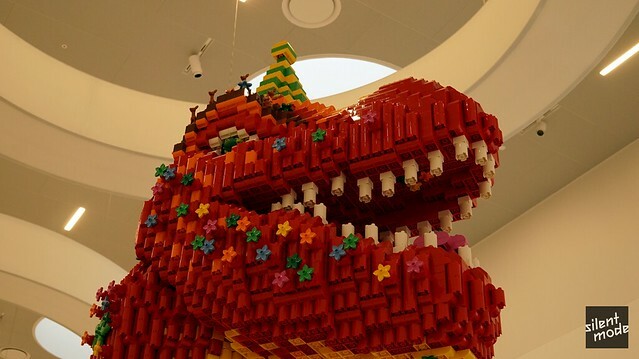 Much more important – to me at least – was being around other passionate fans of LEGO, interacting with LEGO employees, and experiencing aspects of the company that many don’t get to see. The most valuable parts of the Tour can’t be sold on feeBay, or in many cases even communicated. One thing I can virtually guarantee you’ve never seen anyone else mention in their post, but is probably the most important thing you can prepare for, is coming down from the Inside Tour high. While I wasn’t quite brought to tears once it was over, the difference between being on the Tour and no longer being on the Tour was night and day. No more activities; no more meeting up with the other participants; no more conversations with the designers. 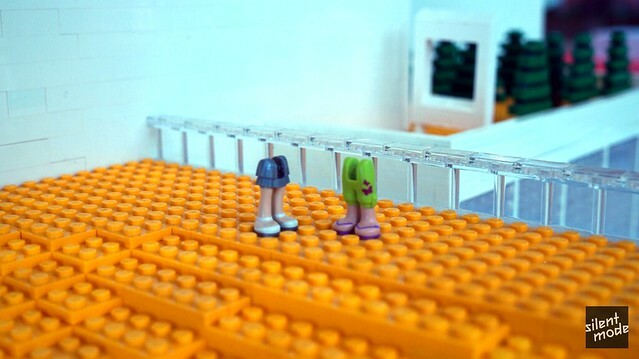 I didn’t even leave the LEGO House before things turned back to normal, and I reverted to being just another person SilentMode. The Inside Tour is exactly what it should be: not for everybody. I’m not suggesting it’s inexpensive, but if your primary thought it that it costs too much, you’re probably better off queuing outside the Apple Store with the masses at least once a year. As elitist as it sounds, I think the cost of entry has been effective in distinguishing the real[er] fans from the riffraff. I’ve been extremely lucky to have experienced the Inside Tour, especially given my circumstances. 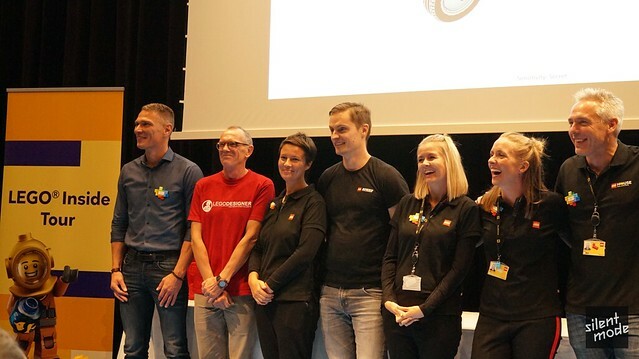 It was a very welcome break from the BS – inside and out of the LEGO community – and a valuable chance to be part of a group of passionate LEGO fans. I can’t say I got on with everybody, but there was no room for meaningless politics. Unlikely as it would be, I wouldn’t mind doing the Inside Tour again – but no sooner than five years from now. 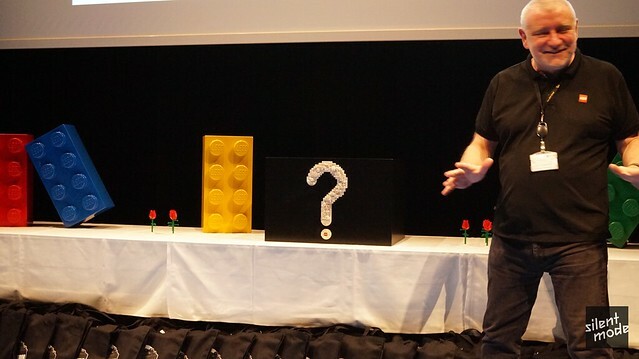 I would be very curious to see what had changed in Billund and with LEGO, as well as meeting the newer generation of LEGO employees and designers. Would I still be an AFOL in five years time? Who knows? Thank you for reading this post! Be sure to check out my Flickr album for photos I took during the Inside Tour, and let me know if you have any comments or questions.